Fluke are also called “summer flounder” in many locations. They can be found everywhere on the east coast, but the biggest concentrations can be found from New Jersey through Rhode Island. There are many effective fluke fishing techniques including using bucktails tipped with a variety of baits and simply drifting baits on traditional bottom fishing rigs. 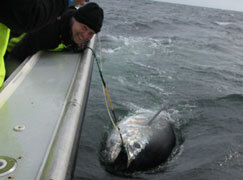 A 3lb fluke is typically a keeper in most states and a 10lb fluke is a “bucket list” fish. Fluke can be very aggressive especially at specific tide stages. 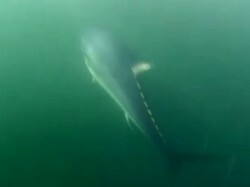 Some fluke fishing techniques (especially bucktailing) evolved to target the biggest fish when they are most aggressive. In many northern coastal states fluke fishing is the second most popular saltwater fishing pursuit behind striped bass fishing. Fluke fishing is also an extremely popular charter and party boat pursuit and a great way to introduce new anglers to the sport. CLICK HERE FOR FREE FLUKE VIDEO CLIPS! Fluke can be caught in waters as shallow as a few feet and in much deeper depths over 70ft. 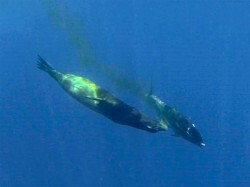 Different techniques are used to target the fish in various depths. Many anglers like to use light tackle in shallow water (especially when drift speeds are reasonable) and break out the heavy tackle in deeper water. Deep water and fast drift speeds require more weight (sometimes 10 ounces or more may be needed). 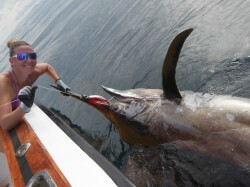 However, some anglers are adept at using their engines to control the drift (also known as stemming) and can use smaller weights and big bucktails. Learning when the fluke feed aggressively (typically based on tide) in a specific location is the key to catching the biggest fish. Best Fluke Rods and Reels – by Capt Andy LoCascio – Includes information on selecting the best light tackle and deep water rods and reels. The meat of fluke is extremely flaky. This versatile fish provides delightful dining when steamed, poached, baked, broiled, sauteed, fried or microwaved. Large “door mats” can be quarter filleted for most recipes or cut into steaks and grilled over charcoal or gas. Our favorite way to eat fluke is to deep fry it and make a sandwich (which gives us one more reason to go fluke fishing! ).